The Yamaha Motor Company is proud to be celebrating half a century since its inception and the first ever Yamaha motorcycle was launched. In 1955 Yamaha Motor Co. Ltd was a relative latecomer in a market where as many as 150 motorcycle manufacturers competed for survival. New ones were starting up and others were folding at an incredible pace and few survived the challenge, but Yamaha knew that if they could build a product that was truly world-class there was a good chance of success. It is this spirit of challenge in these early years that forged the company into the global corporate group that Yamaha is today, in pursuit of the perpetual goal of being best in the world market. 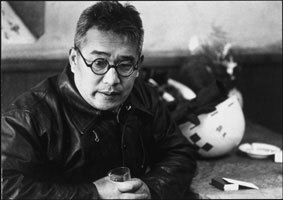 It all began when then president of Nippon Gakki (now Yamaha Corporation), Genichi Kawakami, put to use some machining equipment used in the production of metal airline propellers to develop the first Yamaha motorcycle. It was the YA-1, a 125cc, 2-stroke, single cylinder, streetbike, nicknamed 'Aka-tombo', meaning red dragonfly after its maroon and ivory two-tone colour scheme, at a time when black was virtually the only colour used for motorcycles. With a starting capital of 30 million yen, 274 employees and two single-story wooden factory buildings with a capacity to turn out 200 motorcycles a month, the fledgling company dared to confront the competition. The YA-1 went on sale in February 1955, and on July 1 of that same year the new motorcycle division was separated from Nippon Gakki to found the new company Yamaha Motor Co. Ltd. The YA-1 immediately demonstrated its high performance by winning the third Mt. Fuji Ascent Race in July 1955, and then swept the top places in the ultra-light class of the first Asama Highlands Race of the All Japan Endurance Championships. Despite its high price tag, due to the highest possible level of precision engineering and quality, over 11,000 units were produced before the YA-1 went out of production in 1957. Although Yamaha Motor Co. Ltd were latecomers to the motorcycle industry, with their unbounded success on the racing scene and the introduction of the YC-1, a deluxe version of the YA-1, in 1956, they were able to prove the quality of their product, boosting the brand image of Yamaha and drawing the attention of motorcycle fans across Japan. In 1957 Yamaha launched the YD-1, their first 250cc, 2-cylinder engine, a completely original machine, hauling the Japanese motorcycle industry from its mode of copying into the new realm of innovation. 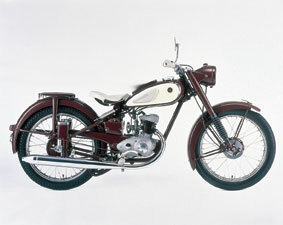 At the time of the YD-1's debut, the trend in Japanese 250cc models was toward a greater sense of weight and presence. But, with the appearance of the compact YD-1, with its sporty engine performance, that trend would be reversed. In 1958 Yamaha introduced the YD-2, a 250cc, twin cylinder, 2-stroke streetbike, which had a bit more emphasis on utility use. It was the presence of the YD-2 at the other end of the spectrum that enabled Yamaha to pursue a purely sports model with the new YDS-1, a pedigree that today lies at the heart of the Yamaha spirit. In a Japanese market dominated at the time by utility models, the YDS-1, launched in 1959, brought a new image of sports performance. The YDS-1's dynamic design caught the imagination of sports riders, who quickly nicknamed it 'Japan's first sports model'. Looking back, it's clear that the effect of both the YD-1 and YDS-1 was tremendous in setting the Japanese motorcycle industry on a course that would define its future.